Cloud Construction Security Camera - Turnkey Solution! Are you leaving overseas, is your property exposed to intruders? Well you don’t have to worry as this camera can secure your property, you may be far away but that does not stop you from watching over your property with this outdoor camera. This camera uses 4G and 3G as a backwards compatible feature, this device is completely wireless which means NO wires, nor any cables need to be installed, setting up cameras has never been this easy before. You can remotely monitor and stream LIVE on your mobile device on both android and iOS ports, you can both use Wi-Fi connectivity and cellular connection to broadcast and watch videos LIVE at any time, not only that but the camera streams videos at 1920 x 1080p resolution it will even store videos and files on your external memory card, even at night time you can use night vision to broadly watch over your property. Day and night? Yes, nothing stops this camera from recording, that is why a solar panel comes in and saves the day with energy, you can charge your camera with solar energy while it records. But one of the best features is 30 DAYS FREE CLOUD STORAGE, in case your camera is stolen or segregated from your property, recordings can be saved in cloud storage so that you can view the recorded events at any time and find intruders. This camera features a PIR Sensor, it will help you record the necessary highlights of the events, so that efficiency can be maintained in both battery and storage, once motion and movement is detected the camera will automatically start recording and will even send you an alarm notification as a warning of unknown activity at your home. 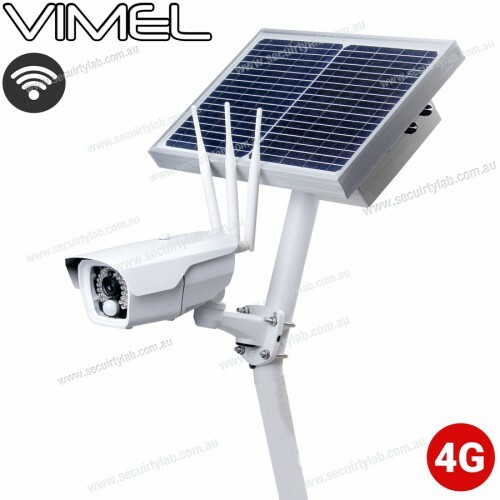 This outdoor camera even explains in its name that it can withstand environmental impacts, it is weatherproof, water drops will not stop this camera from functions as the outer casing has a hard proof structural build.